In October, 2013, I wrote an article titled Microsoft Security Essentials: EPIC FAIL. At the time, my advice was this: "I can't say that MSE is worthless, but it's certainly not essential… with so many other excellent free alternatives, my advice is to avoid it or replace it." Even though Microsoft touted MSE as a "free comprehensive security solution," they came out with a shocking and confusing admission that MSE was never intended to be a “category leader.” MSE, according to Microsoft, provides just a “baseline” that better products should aim to beat. And they do, by wide margins. Independent tests comparing over two dozen antivirus products in 2013 consistently ranked MSE dead last in protection against zero-day exploits, the kind of attacks that can only be detected by analyzing the behavior of suspect software. MSE also ranked near the bottom in detecting well-known viruses, a comparatively easy task. Only in “usability” did MSE fair well; but “user-friendly software that doesn’t work well” seems like an oxymoron. It's been two years since those reports. Has Microsoft Security Essentials (also known as Windows Defender in Windows 8 and higher) gotten any better? MSE was replaced by an updated Windows Defender module in Windows 8, which carries on into Windows 10. Originally an anti-spyware program that did not address viruses, the Windows Defender name pre-dates MSE. The Windows 8/10 version of Defender tackles viruses and real-time protection against zero-day threats. Is it better than Microsoft Security Essentials? Alas, no. In fact, Defender is more or less MSE under a different name. The two programs even use the same virus signature databases. What Do Independent Test Labs Say? The June 2015 test results from AV-TEST show that MSE/Defender still ranks dead last among the 21 products compared. The difference in overall ratings is enormous, too. Defender scored 90% in AV-TEST’s “protection against zero-day threats” category in May, 2015, and actually fell to 85% in June. The average for all tested products is 98%. For detection of known viruses – the simplest job for any antivirus program – Defender scored 89% in May and 95% in June. The average score for all products is 99%. Another independent test lab, AV-Comparatives, gave MSE an overall rating of just 4.7 out of 18 points, the lowest score of 21 products tested. Multiple competitors scored over 14.0, including Avira Antivirus Pro, Bullguard Internet Security, eScan Internet Security, Panda Free Antivirus, and Quick Heal Total Security. Microsoft’s Defender and MSE are not “baselines” of minimal adequacy in antimalware protection. They are, in my opinion, totally inadequate! Anyone relying upon either of these programs as their sole means of defense is making a mistake that could lead to big trouble. Q: What Anti-Virus should I install for Windows 10 Technical Preview? A: You don't need to install any Anti-Virus program, because you already have one which is Windows Defender. It protects you against Virus, Worm, Trojan, Spyware, Adware and other malicious programs same as what Microsoft Security Essentials is doing in Windows Vista and Windows 7. In response to the disgraceful test scores described above, Microsoft argues that the tests don’t measure the overall security of Windows itself. Windows Defender should be tested in conjunction with the SmartScreen anti-phishing filter built into Internet Explorer, as well as other security features baked into Windows 10. But what if you want to use another browser? What if you don’t want the weakest link in your Internet security to allow one out of seven zero-day threats into your machine? Well, then I suggest you install one of the top-rated anti-malware suites and disable the superfluous and inadequate MSE (Win XP/Vista/7) or Defender (Win 8/10). I've written recently about the Best AntiVirus Software for 2015 and I also maintain a list of Free Anti-Virus Programs. 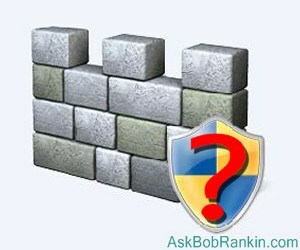 Most recent comments on "Has Microsoft Security Essentials Improved?" Does Microsoft intentionally try to be confusing when it names things? Windows Explorer/Internet Explorer. Defender vs. MSE vs. Defender. If being unclear and making life difficult were Olympic events, MS would win the gold! EDITOR'S NOTE: There's more... Outlook Express turned into Windows Mail, which turned into Windows Live Mail. Meanwhile, Hotmail became Outlook.com. But there's still a thing called "Outlook" which is not the same as "Outlook Express" or "Outlook.com". I've been waiting (holding out), to upgrade to win 10. I know there are video problems and the like. The question is, how long do I wait to take the plunge. Is it reasonable to go for it now or wait a few months for the wrinkles to be ironed out? I know there are always maintenance and bug fix updates that always come along. Any opinions/ suggestions? Bob: My 'security wallet' is Panda Cloud, backed up by the free versions of Malware Bytes Anti Malware, Malware Btes Anti-Exploit, plus free Spybot. I run MBAM and Spybot about once a week, generally whilst making breakfast as Spybot takes quite a while on my machine, or out of sequence if a questionable mail or website visit makes me uneasy. Generally I avoid dodgy sites anyway and definitely avoid 'click now' come-ons. So far I've seen no problems for several years. My only scare was a few months back when Panda Cloud inadvertently declared itself to be a virus and shut off all my net connections. But the company fixed that in a few hours. Thanks Bob! Another timely article. How often do you recommend running a complete scan, over a quick scan? I use from your list of recommended free anti virus software. EDITOR'S NOTE: Once a month is fine, but you can do them more frequently if your monthly scans pick up anything. "The June 1015 test results from AV-TEST show that MSE/Defender still ranks dead last among the 21 products compared." Will the incessant bashing of Microsoft/Windows ever cease? Or should I ask for a miracle and hope that someone (anyone) someday (any day) say something positive about the company or their products? Puhlease! Out of all people... Oh, never mind! EDITOR'S NOTE: Did you read my glowing comments about Microsoft's new flagship operating system, Windows 10? I used MSE on XP, Defender on Vista and now MSE on windows 7. On all three OSs, neither ever detected a virus, spyware, malware. I then sent SUPERAntiSpyware through each system and it dug out all the spyware and Trojans. Bob Rankin, I must allow, of course, that Micorsoft is NOT offering degrees in English As A Second Language, and maybe they should! Confused does not cover their defective communications. However, it is possible to take IE and crank it up to the supreme level of privacy and security, and to use all the other security facilities of IE. I do this and seldom get viruses. I use MSSE and supplement it with EMET. Is this for mom and pop, is this easy? No! So MS is not friendly. However, configured with the security offered by MS, IE is fairly secure, and it is not friendly. I had an Hotmail account since before they were part of Microsoft. I lost it in a fiasco with XBOX and my Grandson, but that is another topic. I now have an outlook account. If transfer attachments in either Hotmail or Outlook there is a little commercial that says "Protected By McAfee...". Which tells me not even their of employees trust any of the Microsoft Security Essentials products. Thanks a bunch, Bob. This answers the question I asked in your previous dispatch; namely, should I renew my 3rd party security software in light of Win10. I shall. Better safe than sorry. And please don't stop telling the truth, even if it offends some. Whatever you do . . . DO NOT use Comodo Anything!!! The company's anti-virus software is MALWARE on Wheels!
. . . as SOON as I installed it . . . It crashed my 4 1/2 year old computer and it could not recover! Please Note: I do not work for or volunteer for Linux. This is just my humble experience working with Linux Mint for the past month or so since my Windows 7 laptop went kaput! I haven't trusted Windows for online stuff for years now. I'm limping along using a semi-crippled Google Chromebook - where at least any viruses that give the system trouble attack the system "in the cloud" because that's where the system is. However, in order to see and hear videos on it, I have to sign on as a guest on my own computer. Some foul-up which so far I've been unable to master. For serious computing with Windows, I STAY OFF-LINE ENTIRELY. Do you advise uninstalling Windows Defender? Does this interfere with the work of the other programs? Well, I've got 5 years of totally virus free performance on 7 computers that I maintain using MSE and MBAM free. I have no complaints and will continue to use it. Avira, AVG, Avast - I've used them all and they either use so many resources or have allowed viruses/trojans/spyware through so i won't use them. As a volunteer (retired IT Professional) I have been supporting a centre where we tutor Seniors in using PCs, tablets, mobile phones, digital cameras and other new technology. We have use MSE since it's release on our Windows 7 PCs and Defender on our Windows 8 PCs and in all those years have never had a virus on any PC. We don't run regular scans and the seniors who use the PCs have no restrictions in their use. I suppose those "independent test" people know what they are doing. I've used MSE since day one on multiple desktop/laptop pcs used by many different users and never had a single issue. Numerous family members and friends have the same experience. What's the fuss all about? What am I missing here?? One more thing, I use PC Matic Super Shield on my older XP work horse machines (all are connected to the internet 24/7). No issues at all. I invested in the paid version of Malwarebytes Home Premium and I run the free version of Malwarebytes Antiexploit on my w10 and w7 machines. The also have MSE (w7) or Defender (w10) on there but I NEVER HAD A PROBLEM with these machines. Further, I only use web based email and I don't have a Facebook account (my wife does and she gets plenty of poo. I've had great luck with MSE on many computers. Have 9 running it now. I have had NO problems. I think maybe their saying that it works together as a whole is correct. I always had trouble with AGV and Norton, which were my priors. I recently played with Ashampoo, and it seems like a good resource.